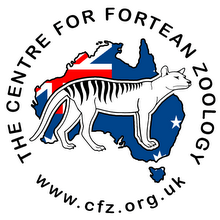 Centre for Fortean Zoology Australia: Is a black panther stalking Broulee? Is it an April Fool's Day prank? Have we been punked? Or does Broulee really have a black panther? Today's Bay Post featured a story about a black panther sighting on a bush track that occurred south of Broulee early last month. 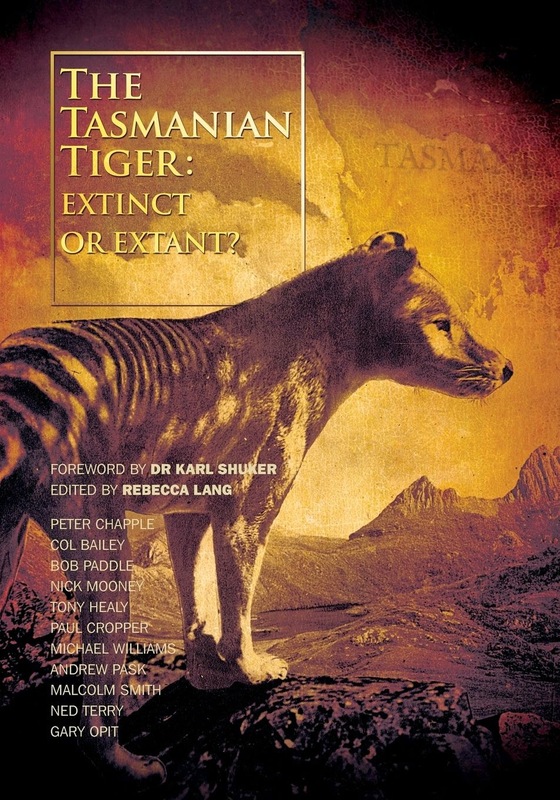 It should be noted black panther sightings are not unknown on the NSW south coast. Wadonga resident Mark Nuggin, 21, was holidaying at Tomakin and was taking a walk with his mother and brother south of South Broulee Beach at about 3.30pm on March 3 when the incident occurred. “We were walking across a sand motocross track when I saw it,” Mr Nuggin said. He said the animal jumped onto the track and then ran off, and that he saw the side of its face, and it looked cat-like. 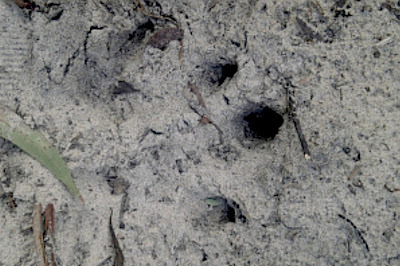 They had a camera and, although they didn’t get the chance to photograph the animal, they got a photo purporting to be one of its paw prints. Mr Nuggin said he had always been cynical when hearing about big cat sightings in the past. However, upon seeing the paw print photo, Mogo Zoo head keeper Annalie Van Der Merwe believes it is simply a case of mistaken identity. “I am nearly 100 per cent sure the paw print has been made by a large dog,” she said. So did Mark see a big cat and photograph a dog track (not unreasonable given where he and his family were walking)? Or did he mistake one animal for another - a large black dog for a large black cat?